Paul was called to bring the gospel of grace to the Gentiles because the Jews rejected the message (Acts 13:14-52; Romans 1:1-16). 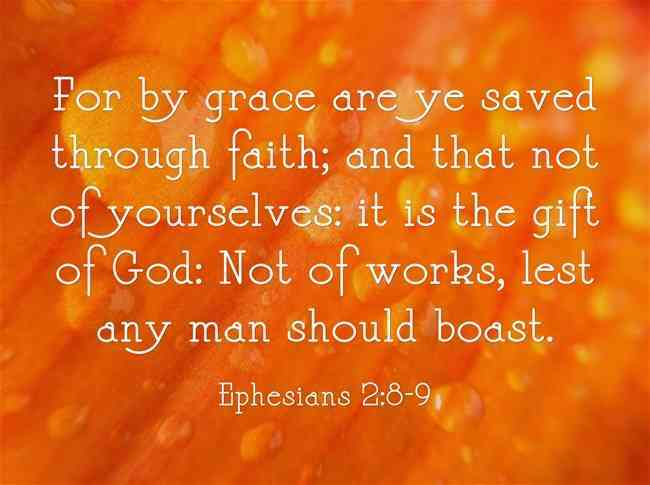 Throughout his epistles Paul speaks of grace and how by it we can be saved (Ephesians 2:8-9). Thinking about grace, praising God for it and sharing that message is something that as believers we all should do. I have found so many quotes about grace, take a look just 17 awesome Christians quotes about grace. This unspeakable gift of grace is offered to all the world. Have you accepted it? I pray that these quotes cause you to either stop and thank God for His grace and the gift of salvation that you know as a believer or that it causes you to come to Jesus and enjoy the eternal blessings; all as a result of the grace of God. Great article!!! The topic of grace is something that has always perplexed me a little bit. 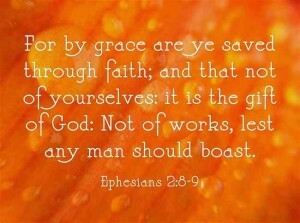 Their is no question that I believe that we are saved by the grace of God. We would be damned except it be through him. Some people say that in order to be saved all one needs to do is accept Christ. There are verses that state that exactly but there are also verses that say we must do more. I have even heard pastors say that once you have accepted Christ, you are saved and it does not matter what you do. Steal, cheat, swear, covet, drugs. It does not matter, you have already been saved. I find that hard to believe. I think he expects more from us than that. Understanding what is meant by the word “accept” and “believe” is key. If you really believe in or accept Christ you will not do those things and if you do mess up and sin you would feel deep sorrow and would want to repent and become clean again. I am looking forward to your quotes and observations. My heart says alive by believing in, and studying the Bible, but EVERYONE needs help along the path to Jesus. I agree 100% that Grace is the power of God to change lives and to help us live according to His Will and is available to everyone. Very good article keep up the great work as the Lord is soon to return. Once again thank you and may our Lord and Savior Jesus Christ continue to bless you in His Ministry.